Pacific Ocean, approximately 2,400 miles southwest of California. 6,470 square miles, extending over 1,576 square miles of ocean. is your comprehensive guide to the world's favorite vacation spot. The draw of these islands transcends beautiful scenery and tropical drinks; there is a pulse, a certain rhythm to life in Hawaii that effortlessly seduces visitors. After a few days on the islands, travelers may find themselves filled with the spirit of aloha. 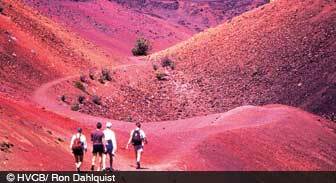 Hawaiian history begins with Polynesian settlers reaching the islands as early as 1,000 A.D. They occupied the islands until around the 15th century, when the islands were "rediscovered" by Tahitians. From Tahitian culture grew traditional Hawaiian society, which remained isolated from the rest of the world until Captain James Cook arrived in 1778. Cook named the islands the Sandwich Islands, and soon European and Asian trade with Hawaii began to flourish. As foreign influence increased, Hawaii's greatest leader, King Kamehameha I, united the islands under one rule. Hawaiian monarchy reigned until 1893, when Queen Liliuokalani was overthrown and Hawaii became a territory of the United States. 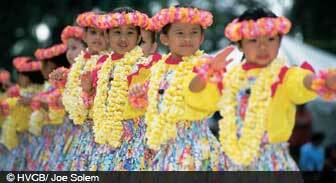 For a detailed account of Hawaiian history, culture, economy and more, check out the Past and Present section of this Web site. Whether you're sticking to one island or traveling between several, our getting around guide has everything you need to know about transportation. From buses to boats, we'll help you decide your best means of getting from place to place.